When doing this stretch be careful not to strain your back. Lift your leg up to a comfortable height on a chair, bed or stool. 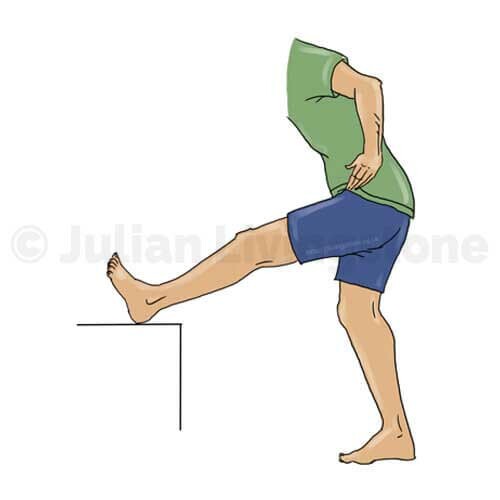 Keeping your leg straight lean forward until you feel a stretch in your hamstring at the back of your thigh. Hold for 10 to 15 seconds then relax and do the other leg. It is important not to try and fire the muscle do thing slowly as if someone is stretching it for you. Repeat 10 to 15 times first ing in the morning and last thing at night.